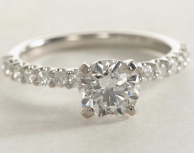 Simple, timeless, and classic, this is your standard, “can’t go wrong” engagement ring. 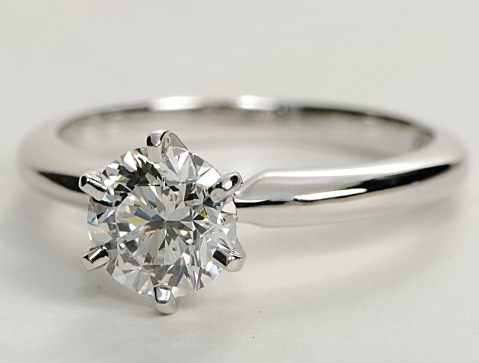 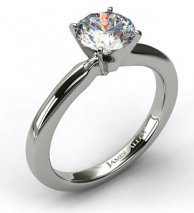 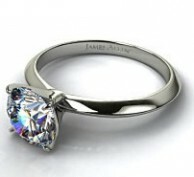 One of the most popular engagement ring styles, this ring is always a good choice. 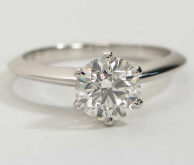 While a round diamond is the most common shape for this ring, it can also be set with a marquise or pear shaped diamond.